Apple is using a bonding agent called Organofunctional Silane Z-6011 to bond the layers of glass. Apparently, Apple (or more likely Foxconn) is shipping these products so quickly that the evaporation process is not complete. 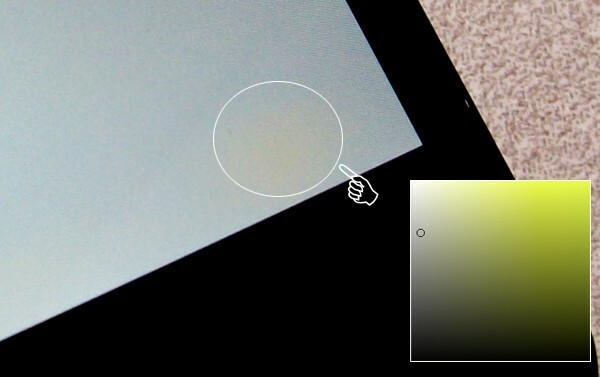 However, after one or two days of use, especially with the screen on, will complete the evaporation process and the yellow “blotches” will disappear. How do I know? I was involved in pitching Z-6011 to Apple. Gizmodo reports that a Apple support technician also confirmed this theory my saying, “its just because the residue is not dry fully yet and it should clear up within a couple of days”. However, it seems Apple Store employees that are aware of the situation are not giving the same advice and advising customers to bring the iPhone 4 back.